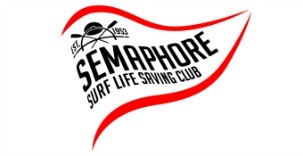 At Semaphore SLSC we try to provide you with a range of courses from Basic Rescue to Advanced Rescue Techniques. See below for some of the courses we offer. What do you have to do to achieve your Bronze Medallion / Certificate II in Public Safety (Aquatic Rescue)? You will need to be at least 15 years of age on the date you are assessed and be a financial member of our club. How long does it take to get your bronze? Your bronze medallion training occurs in small groups. It generally takes a group between 6-8 weeks to finish the training and be assessed, based on a minimum of 2 x 2 hour sessions per week. There are of course groups that do it faster than this, and slower, depending on the commitment of the group. A typical squad would meet on an agreed weekday at 6:30pm for 2 hours of theory and non-beach training, then a weekend morning session focused on practical activities. The only cost apart from your membership is for a training manual which is $35. Once you start patrolling you will also need to purchase a pair of club bathers and if you wish to compete in any events you’ll need a club skull cap. Probationary surf lifesavers can achieve this award from the age of 13 to help be prepared for active patrolling duties. The award trains candidates in rescue skills, first aid and patient management, resuscitation plus a theoretical component exploring safety knowledge and surf awareness. It is essentially an abridged version of the Bronze Medallion qualification. Inflatable Rescue Boat Crew course. For a lifesaver to obtain their IRB Crew-persons award, they must be a minimum of 15 years of age and hold the Bronze Medallion. Training usually is conducted over a number of weeks and at least 20 hours of training must be obtained before the final assessment can be sat. Training involves both theory and practical work. The practical work involves learning how to move around the IRB when the driver steers, patient pick up then returning the patient safely back to shore, “punching” waves, signals and holding the IRB steady before and after the IRB has left the shore for the driver. Inflatable Rescue Boat Driver course – incorporates the Silver medallion (IRB Driver). Members must be a minimum 16 years of age and hold Bronze Medallion and IRB Crew as well as obtaining a boat drivers’ licence from state authorities to undertake an IRB training course. The course involves a small theory component on basic outboard motor mechanics, pontoon pressure as well as set-up and dismantling procedures. This is coupled with a much larger practical component. The practical sessions require learning basic operation and manoeuvring techniques as well as gaining the ability to negotiate large, rough surf, with and without a crewman. The rough surf component for South Australia requires the majority of training to be done either on the Mid Coast or more usually; on the South Coast. Training usually takes 6-8 weeks followed by assessment, also done in rough surf. Other practical components include Towing, Signalling/Communications, Patient pick-up and Recovery, for example from an up-turned boat. Advanced Resuscitation Techniques Certificate. Member must be a minimum of 15 years of age and hold the Bronze Medallion or Senior First Aid award. The aim of this course is to provide participants with the skills, knowledge and application of oxygen, airway management devices, and automated external defibrillators during resuscitation, and to administer oxygen to conscious and unconscious breathing causalities.